It would be very safe to say that a large portion of our lives takes place online these days. The advent of smart devices has made this all the more pronounced. Smartphones, smart TVs, tablets, video game consoles, etc. – all these devices look to the Internet as their lifeblood. Naturally, businesses have caught wind of this and it is the foundation of the cloud storage industry. You save your Word file onto the cloud while you’re at the office and then you open it during that meeting on the other side of town. Or a different town altogether. However, your options in this regard are far more extensive than mere Word documents and presentations. And that is why you’re here. You are thinking about media and you’ve heard about Plex. Before we can answer the eponymous question, we have to go over the basics of Plex as that provides insights which are integral to how we made our choice. Over the years, you’ve accumulated a very large and ever-expanding library of videos, photos, and music. It is only natural that you would want to centralize it and keep it in a single location. This makes all your files much easier to manage, organize, and find when the need arises. It is also better in terms of security if that is a concern for you. However, as we already said, our lives are on the go these days. We have moved beyond sitting behind a desk all day. Plus, more than one person might want to access the media library at a time. That is why you need your media files to be playable on all your devices. And this is where Plex comes in. Plex is a media application which allows you to unify your personal media and access it from wherever you want. In order to do this, it requires two components. For one, you need to have a media server. You achieve this by installing the Plex desktop application to a compatible device. For optimal results, you want this to be a NAS (network-attached storage) device. Secondly, you need the clients. These are the devices you’ll be using to actually access the media. Again, it is a simple matter of installing the appropriate Plex app. Once you have that, your enjoyment can begin. You will no longer be constrained by physical limitations – you can watch any movie you own however you want. Plex works with videos, music, and photos, but we will be focusing on the videos as they are the most labor intensive and require the biggest amount of processing power to stream effectively. The other part of the equation is a NAS device. In the form that is relevant to you, a NAS is a specialized computer purpose-built with this use in mind. You store files on it and they become available over a network. 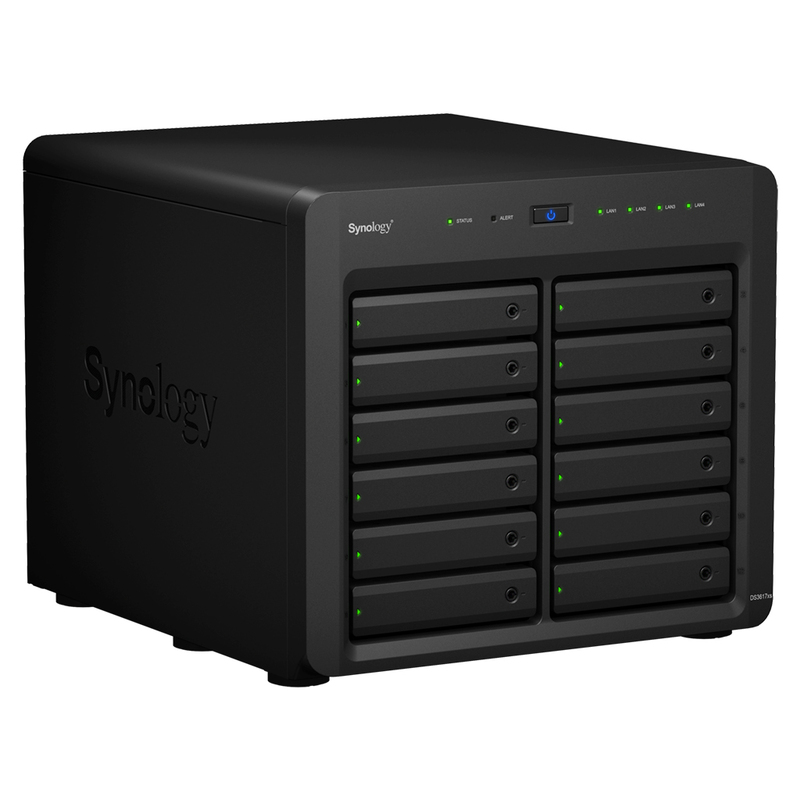 Furthermore, the fact you’re reading this means you’re interested in getting a Synology NAS. And that is an excellent choice. 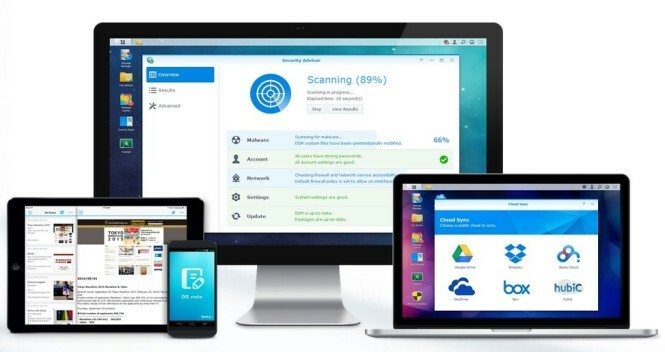 Synology, a company founded by two former employees of Microsoft, is one of the global leaders in this field. They offer a wide variety of NAS devices, including our absolute favorite. Different NAS devices come with different hardware, which means their processing power can vary to a great extent. This is the main point we considered when we made our choice regarding the best Synology NAS for running Plex. Namely, the computing power of a NAS is essential when it comes to one fundamentally important feature of Plex. We are referring to transcoding. When you store a video on your NAS, the file has certain characteristics. The size, format, resolution, etc. However, since you’ll be accessing the file from different devices, not all of those characteristics will be optimal in each case. And it goes beyond being optimal, they may not even be supported. For example, the file may be extremely large. If you’re trying to access it from your phone and the Wi-Fi is slow, this might make the video unwatchable because it will be constantly buffering. Secondly, your client device might not recognize the file extension (this can happen with .MKV files, for example). Or, the resolution might be a problem. The list goes on. The solution, however, is just the one. You don’t need to store multiple versions of a file for different devices because Plex will do the hard work. When the client device contacts the media server, Plex will make all the necessary changes to the video in order to make it compatible with whatever device you’re trying to watch it on. This is called transcoding. Transcoding is at the heart of what makes Plex so versatile and popular. However, it also requires a lot of processing power. Consequently, that is why you need a NAS with the hardware to keep up with these demands. With that in mind, onto our choice. Now that we know why transcoding is important and what to look for, the choice is pretty clear. 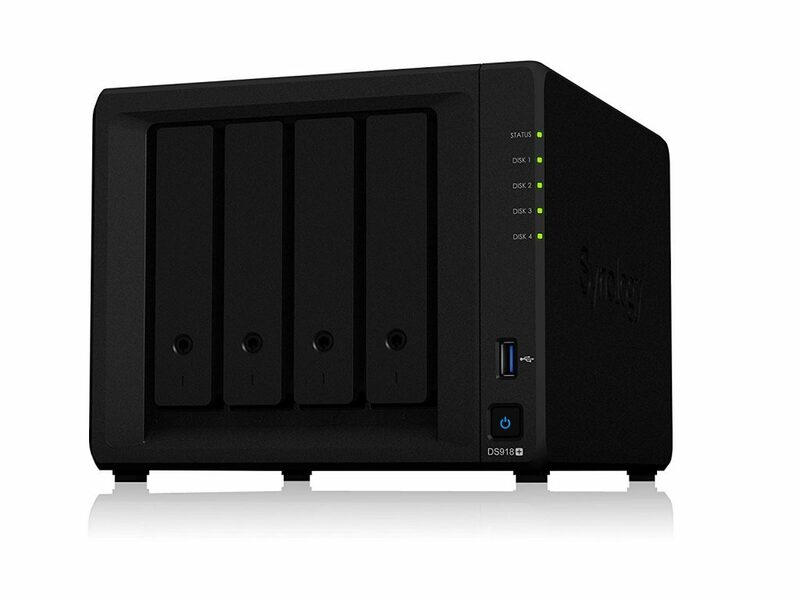 In our opinion, the best Synology NAS for running Plex is the DS3617xs, without a doubt. This beast of a NAS comes with a quad-core Xeon processor to ensure you’re never short on CPU power. In addition, it has 16GB of DDR4 RAM. This can actually be upgraded to 48 GB, not that you’ll need to. In practice, this means Plex will be running like a dream. 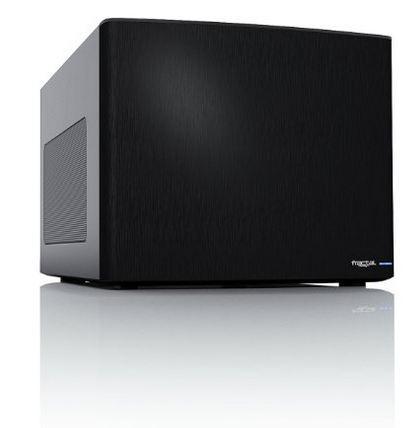 The DS3617xs can play and transcode whatever you throw at it. 4K resolution is no issue at all and once we go beyond 4K, it’ll handle that too. Of course, it is also more than powerful enough to allow multiple simultaneous users. In terms of storage, it comes with 12 hard-drive bays out of the box (this is also upgradable). In order to save a bit of money, you can start off with one hard drive and add more as needed. The maximum potential capacity is staggering, and this is another aspect you’ll never have to worry about. The one potential downside is the price, of course. Such outstanding characteristics come with a price tag to match and it’s certainly not an inexpensive solution. However, we are hesitant to say expensive when we consider everything it provides. We believe its sheer longevity is worth the price. Conservatively, it will cover all your hardware needs for seven years. Probably more. In the IT industry, that’s an eternity. To sum it up, the potential of a Plex media server is amazing. It will allow you to utilize your media in ways that seemed beyond our wildest dreams until recently. It just needs the right NAS to complement it. 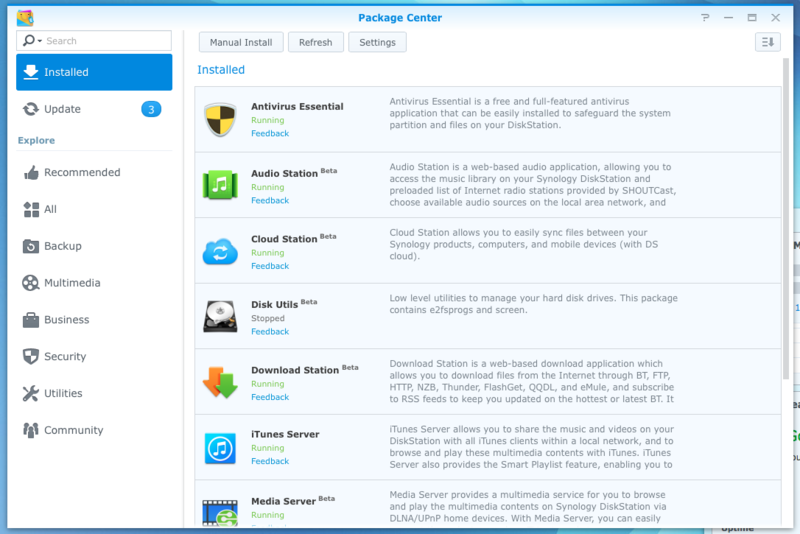 In this respect, you can’t go wrong with Synology and you can’t do better than the DS3617xsy. Now if you’re looking for a more budget-friendly Synology NAS that is more than capable of running Plex and handling transcoding, you can go with the Synology DS 918+. With a powerful built-in AES-NI hardware encryption engine, DS918+ provides exceptional encrypted file transmission. Also capable of transcoding up to two channels of H.265/H.264 4K videos at the same time, DS918+ is ideal for sharing and storing ultra-high definition media content.